Audio post production encompasses the creation, adaptation, and synchronization of sound for moving images – TV, cinema, or video. This can include sound design and music composition, the creation and editing of sound effects and Foley effects, ADR (automatic dialogue replacement) and voiceovers, and sound editing and mixing. Every production has its own unique needs and challenges. 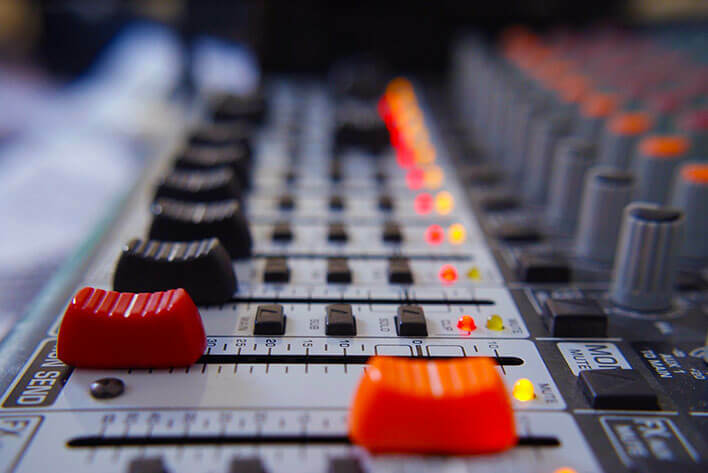 At Big Ears Audio, our engineers have over 25 years of industry experience in audio post working with advertising agencies, major brands, and production companies. We use the latest technology, along with our expertise and attention to detail, to produce the best quality sound for every production. Our dedicated engineers work closely with producers, directors, and the creative team. Our mission is to ensure your finished project remains true to your creative vision. What are the Components of Audio Post Production? The sound designer is responsible for all of the sounds the audience hears. Sound design is the overarching sonic structure of the production, including music, effects, background audio, and mixing. Visit our Music Composition page to learn more. Music editing involves editing or overseeing the synchronization of all musical elements with the movement on the screen. This also means measuring timings to assist the music composer in locating points in the film where the music will highlight the scenes. Named after the father of sound effects, Jack Foley, these everyday sounds make the motion in the picture come to life. The light scrapes of footsteps in the distance, the persistent drip of a leaky faucet, the crack of a well-landed punch, and creepy creaking floorboards are all examples of Foley effects. ADR stands for automated dialogue replacement and is also known as looping, dubbing, and post-synch. This is when actors re-record their lines after filming. Its purpose is to improve their clarity, remove background noise or sounds from the environment, change tone or intonation so it better conveys the mood of the scene or character, or change the dialogue. Visit our Voice Over page to learn more. Sound mixing unites and balances all of the sonic elements of a film. The sound mixer makes sure the dialogue/ADR/voiceover, sound effects, and music fit together to create a soundscape that complements the film and immerses the audience in the experience. Let Big Ears Audio make your next television, film, or video production stand out from the crowd.